Wedge angled mounts are angled, versatile, robust and lightweight, and have non-slip GripPad Sticky Feet underneath, enabling you to very quickly place a switch or other device on an angled surface, confident that it won't slide around during use. Place your Wedge on a table, attach your switch or other device to the nylon loop surface using self-adhesive hook coins or tape. Five VELCRO® brand hook coins are included. Please ensure that you have used sufficient VELCRO® to hold whatever item you are attaching to the mount securely in place. One VELCRO® coin is ok to attach a lightweight switch, but we would recommend using VELCRO® tape for heavier items such as tablets. 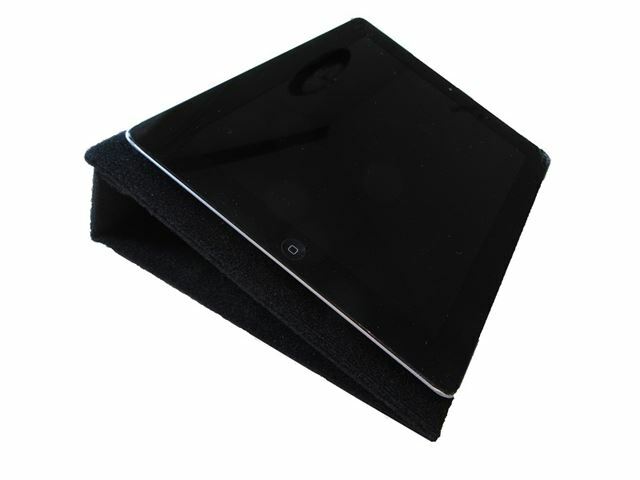 Wedge's nylon loop surface means you can attach many other small items to it, not just switches. 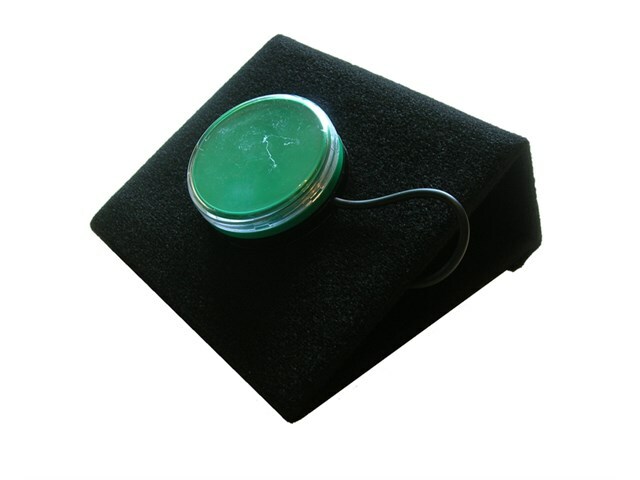 Supplied with four GripPad Sticky Feet, which can be removed and repositioned to ensure best possible grip for the weight and size of the object you have attached to the mount. 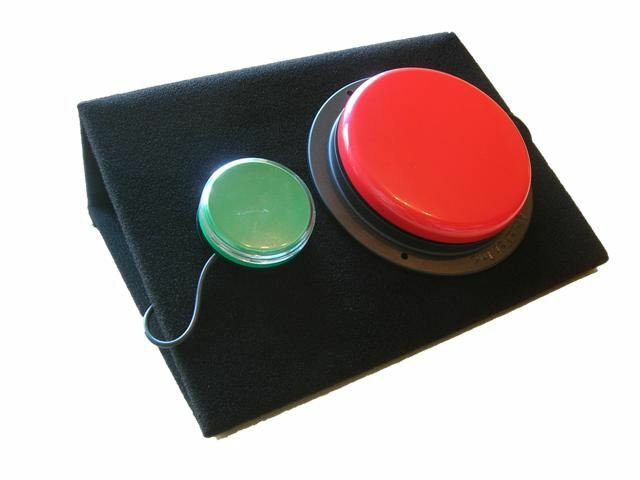 When you press the switch to activate whatever it is connected to, or use the tablet, the four included rubber GripPads will hold the Wedge in place on the table. Versatile and robust, yet lightweight. Ideal for use in the classroom or at home, portable, easy to carry and store. Four GridPad Sticky Feet and five VELCRO® brand hook coins included. Supplied at a 30 degree angle as standard. Three different sizes available, allowing you to mount various devices such as switches, communicators and tablets at the perfect angle. Wedge folds flat for easy storage. Wedge 150: L150mm x W140mm x D85mm, 30 degree angle. Wedge 260: L260mm x W190mm x D50mm, 15 degree angle. Wedge 300: L300mm x W210mm x D120mm, 30 degree angle. GripPad Sticky Feet: L44mm x W38mm x D4mm. Please note: we cannot guarantee the safety of your device when mounted on the Wedge, please ensure you use sufficient VELCRO® or tape to secure the device.